Investigators from Pakistan have successfully traced 2,750 properties belonging to Pakistanis in the United Arab Emirates (UAE) after plundering an estimated Rs4,240 billion taxpayers’ money from Pakistan, revealed a report published by a private media outlet. According to the report, crackdown has been initiated against around 5,000 Pakistanis who allegedly violated national laws to acquire these properties after it was revealed that these properties were acquired through illegal means involving money-laundering. The Federal Investigation Agency (FIA), State Bank of Pakistan (SBP) and Federal Board of Revenue (FBR) have started the crackdown. According to the report, the FIA’s cyber-crime wing through its cyber-intelligence has deciphered the identity of Pakistani owners of 1,476 properties in Dubai, UAE and the findings are being transmitted to zones/field offices for initiating inquiries. Moreover, the FIA’s anti-corruption wing has instituted 54 criminal inquiries against 662 property holders with complete particulars. The inquiries were, however, stalled due to non-provision of record by the real estate regulatory agency of Dubai Land Department and subsequently by the tax amnesty scheme 2018. The inquiries have now been re-initiated, said a private media outlet citing a confidential report. Furthermore, the report said that the FIA’s anti-corruption wing has instituted further criminal inquiries last week against 621 UAE properties discovered through a second source report. It was also revealed that the FIA has till date taken cognizance of 2,750 undisclosed properties of Pakistani nationals held in UAE on various names and inquiries are under-way if each property is valued at a conservative estimate of Rs40 million each. The value of UAE assets under inquiry with FIA comes to Rs110 billion, which is only 2.5 per cent of Rs4,240 billion – the value of officially known assets of Pakistanis in UAE. 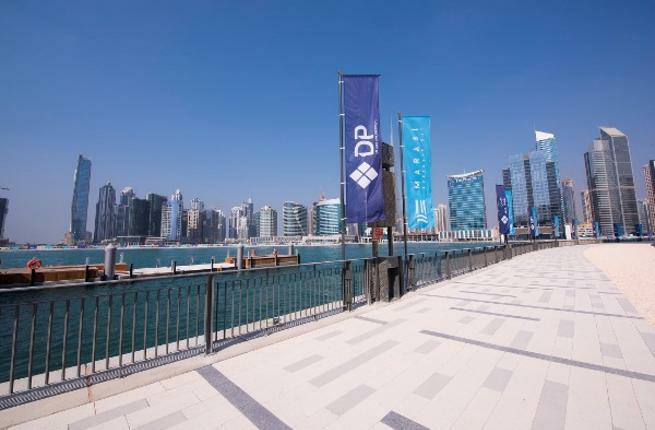 Investigators have to further scrutinize the records of the real estate regulatory agency of Dubai Land Department to find out the true value of properties held by Pakistanis there. Officials of FBR, FIA and SBP, in their findings, further said that Mutual Legal Assistance (MLA) Rules have been drafted and once approved by Supreme Court and the government, FIA will be enabled to initiate MLA requests to top money-laundering destinations)and help Pakistan in foreign assets recovery of foreign assets and accounts, especially those linked to corruption, kickbacks and money laundering etc. An additional over US$150 billion is stashed in foreign properties belonging to Pakistanis, as per private sector estimates. The report further indicated UAE as a top tax-haven while Pakistanis have parked around US$100 billion in UK, USA and Europe. The report also stated that Switzerland has US$200 billion of Pakistanis as per statement of Micheline Calmy-Rey/Swiss Foreign Minister in 2014. By the close of the recent amnesty scheme on July 31, declarations from 5,363 entities including individuals and companies had disclosed foreign assets worth Rs1,003 billion, with a major share of declared assets located in UAE, revealed the report. The report also pointed out some essential investigation tools where FIA officials said that the authority is constrained to writing letters for seeking simple information from electronic databases, available in the national jurisdiction namely FBR’s IRIS & PRAL databases, SECP’s Co./Directors/Share-holders databank, Financial Monitoring Unit’s databank on CTRs & STRs, Telecom Companies IPDR database, IMPASS Passports’ database and Revenue Departments’/Development Authorities Property database. FIA is willing to share its IBMS Travel History Databank with other investigation agencies/financial institutions on a reciprocal basis, but the FIA should not be crippled by denting access to national databases for criminal inquiries, added the report.